We would like to remind that Onyxia’s Lair will be opening at 17.00 server time. In order to remember this moment, as you may know, you can adopt a little Onyxian Whelpling from the shops. There are many whelps waiting for a new parent, do not hesitate to ask them to take a deep breath every once in a while, we promise it will not hurt as much as her beloved mother’s breath. We are certain that under your protection, they will not want to follow their grandfather’s cataclysmic footsteps. The Scepter of the Shifting Sands quest chain. We would like to give some information concerning the quest chain: The Scepter of the Shifting Sands. Onyxia will drop only one Chapter VI: Draconic for Dummies per raid. Note: The first person to loot it will get it. Be careful with that because we will not provide assistance in case of a mistake, ninja looting or similar. 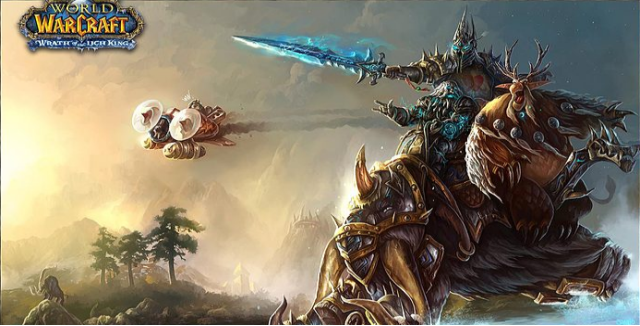 1) Anachronos will offer “The Might of Kalimdor” quest, where he informs players that they must now wait until the forces of the Horde and the Alliance arrive to Silithus. 2) The entire realm will need to wait 7 full days before the scepter bearer can bang the gong. After that, the quest: “Bang a Gong!” is offered and can be completed. This quest will cease to be available 10 hours after it is first completed on the realm. A World Message will also take place in order to inform the players. 3) After 10 hours, Jonathan the Revelator offers: “Treasure of the Timeless One” quest, that finishes the chain. All the players who complete the quest Bang a Gong during the first 10 hours will be rewarded with the achievement, legendary mount and the title: Scarab Lord. We are really glad to announce the release of Onyxia’s Lair, which will happen on Friday, May 13th at 17:00 Server Time. The dreaded brood mother of the black dragonflight Onyxia has come to the forefront of Azeroth, and she awaits you lurking inside of her lair. Be careful heroes, because if you get in her line of sight, she will shatter the ground making the lava rise to hurt her enemies and protect her brood. Only those prepared to face the Trial of the Crusader or Grand Crusader challenges, will be allowed to face this new threat (this means that every player must have earned the Secrets of Ulduar achievement in order to face Onyxia). To celebrate the release, available only for a limited time, everyone will be able to purchase the Onyxia Brood Whelpling from the shop for only 1 vote/donation point. As many of you already know, Onyxia’s release has an important role in being able to complete the following quest chain: The Scepter of the Shifting Sands, which rewards a legendary mount and the title ‘Scarab Lord’. The quest ‘Bang a Gong’ will not trigger the War Effort event, since the Gates of Ahn’Qiraj are just being re-opened and not opened for the first time. The quest will cease to be available 10 hours after it is first completed on the realm. Once the first player starts it, several worldwide announcements will take place. Currently, we are also preparing an announcement with the beta testing dates for Icecrown Citadel. It will require some heavy testing in raid environments, and it is almost certain that a few sessions will be required – the more people helping us, the better. We are pretty excited about it, as we are aiming to have this raid as perfect and polished as possible with all kind of details, including events and roleplays. We are glad to announce that Onyxia’s Lair Beta test will be done the Saturday April 23rd. The PTR realm will be opened from 18:00 until 03:00, Server Time. We do not expect any major issue to appear during this test so, the official release date should be announced the day right after the Beta is finished. With the Onyxia’s Lair official release announcement, we shall also set a timeframe for the Icecrown Citadel’s Beta. We will need the players to test every mechanic from this encounter and report any issue that they may find, so we can hotfix it as fast as we can. As for who is invited to this Onyxia’s Lair test – if your guild has participated on any of our Betas, you are implicitly invited to come and check Onyxia. However, if you did not but your guild is actively raiding, you can also write us and apply for it (explain why your guild should be considered, tell us your guild’s current progression, etc.). Subject: GUILD NAME – Onyxia’s Lair Beta test. Content: Which difficulties you are going to test (you can check only 10 players mode, only 25 players mode or even both of them) and a list of players who will assist (alts and replacements can be added). Information about how to connect and more related details will be explained through the e-mails some days before the given date. Thank you very much, we really hope you enjoy it.